The Centre for Environment and Development Studies (CEMUS), is a student-initiated, transdisciplinary centre at Uppsala University and Swedish University of Agricultural Sciences, with the explicit ambition to contribute to a more just and sustainable world. Student-faculty collaboration weaves as a golden thread through the history and organization of all activities at the centre. Since its inception in the early 1990’s, the centre has initiated and expanded the space for transdisciplinary student-led higher education as well as research and collaboration that transcends traditional academic disciplines and boundaries between academia and society at large. The education at CEMUS gives you the opportunity to study a wide range of courses within the environment, development and sustainability field. Our transdisciplinary courses aim to complement other courses at Uppsala University and the Swedish University of Agricultural Sciences. They are built on a close collaboration between students, course coordinators, teachers, researchers, university administrators and societal actors. The scope of the CEMUS model is not limited to formal learning in the classroom setting. CEMUS Forum organizes open lectures, an annual Sustainability festival, film screenings, discussions, workshops and a variety of other events. Much of this work is done in collaboration with students, in the envisioning, planning and delivery stages. These events are intended to attract not only current university staff and students, but also alumni, government officials, interested individuals and organizations. The aim of this work is to extend the educational core of the center by bridging the gaps between the theoretical and the practical, the young and the old and the academic and non academic worlds, as well as to create a meeting place for people interested in interdisciplinary education and sustainable solutions. CEMUS Forum reaches out to other organizations and initiatives for collaboration. We are currently working with actors such as Folkuniversitetet, Uppsala municipality and the Department of Education and the Department of the development of teaching and learning at Uppsala University (to name a few), with projects to create learning spaces for Sustainable Development outside the walls of Uppsala University and the Swedish University of Agricultural Sciences. CEMUS Research Forum (CEFO) is an interdisciplinary research seminar for PhD students that focus on broad environment and development-related issues. As a PhD student associated to CEFO you aim to participate actively in CEFO’s research seminars (about 5 seminars per term) and propose activities according to your own research interest. The courses and the seminars are also open for those doctoral students that are not associated to CEFO. CEMUS Roots is a dynamic and self-governing student-run group, inclusive to all. It was established in order to allow students to take an active role in influencing the way that education is conducted at the center. Active participants have in the past taken on the roles of CEMUS student representatives attending university faculty and CSD board meetings. Conferences, field trips, lectures, workshops, film showings and open-panel discussions are just some of the types of events which the group has realized in the past, both with and without the cooperation of staff. Many different projects has also been started through CEMUS roots. In CEMUS Roots students have the opportunity to realize their visions for a more sustainable culture, and fill in the gaps of their education in ways which are most beneficial to their learning. 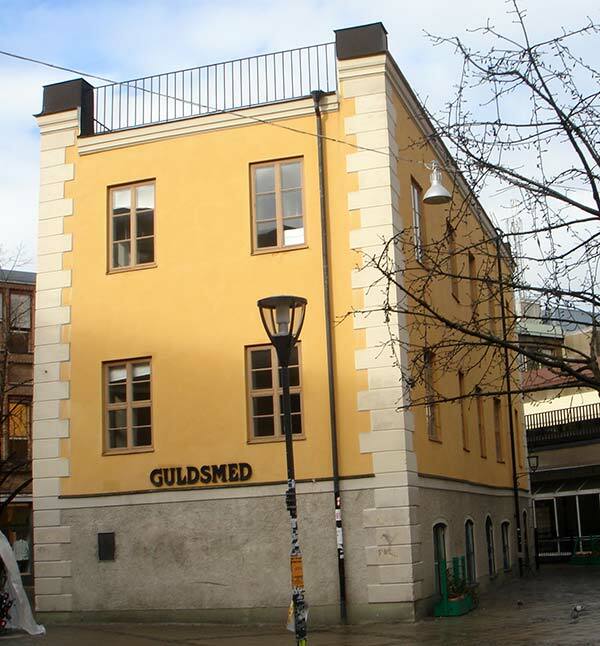 In the beginning of the 1990’s, two students at Uppsala University were greatly disappointed by the complete lack of courses or forums that in an interdisciplinary way dealt with the most crucial environment and development issues of the time. Inspired by a lecture by American biologist and educator Paul Erlich, they worked out a proposal for an interdisciplinary seminar-series. With feedback and support from teachers, researchers and a few progressive professors, their proposal reached the university president who was impressed by the students’ initiative capacity and engagement in the issues. To their surprise, the students’ themselves were given the task of further developing the proposal and running the course which came to be called “Humanity and Nature”. The best and most competent lecturers within the environment and development field in Sweden were invited and the course attracted over 400 students!Through continued support from teachers, researchers and the strong will of a number of engaged students, CEMUS was created in 1995 as a joint centre between Uppsala University and the Swedish University of Agricultural Sciences in Uppsala. Since its inception, students have continuously been employed to shape and coordinate the courses in close collaboration with teachers and researchers. CEMUS has also functioned as a creative meeting place for students, university employees and other people with an interest in environment- and development issues and in 2002 a research school was created. The CEMUS Project – Lessons for Oberlin? Blog post and comment by Steven Volk from Oberling College on CEMUS and the relevance for liberal arts education.Read more here: The CEMUS Project – Lessons for Oberlin? What does it mean, and how is it like, to live and act in times of increased uncertainty? This anthology tries to explore those questions with contributions from a wide range of people, including researchers, politicians, students and artists, and in a wide range of formats, from research articles, short stories, poems and visual art. Download the book here: Glimpsing Paths – Being and Acting in Times of (Un)certainty. There is no such thing as a value-free narrative. No writing can ever be divorced from value. Depending on one’s frame of reference, the same thing can be described in innumerous different ways. An oak tree can be a living creature with whom you have a relationship and history, a dead resource awaiting effecient use in the global economy, or an anonymous number in an ecologist’s equation. Each narrative has its own premises – unspoken decisions about what to include and what to exclude, what is to be regarded as important and what is not. The same is, of course, true for sustainable development. Sustainable development is alternatively framed as mainly a cultural, political, technological or even economic issue – or, as all of the above. It is with great pleasure that I have received the honorable role of awarding the prize within the category of Sustainable Development. The pleasure is all the greater because I personally think the laureate CEMUS (Centre for Environment and Development Studies) very much deserves this prize. That applies, incidentally to the other award winners. I have had the privilege of following CEMUS development since its starting years after the Rio Conference in 1992 with the evening course Humanity and Nature. CEMUS was created by conscientious and dedicated students and teachers, who sought and received the support of university leaders. Today CEMUS is an international role model in that it is the students and their representatives who run the centre’s activities, which in many other countries would be considered completely utopian or unrealistic. 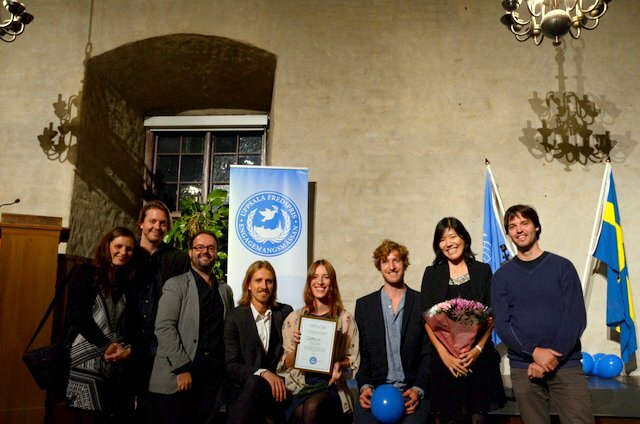 A proof of this was the Swedish government’s decision last spring to nominate CEMUS as Sweden’s candidate in the race for UNESCO’s newly instituted Japan prize for innovative ideas within Education for Sustainable Development. CEMUS has an important catalytic role to encourage and challenge its two heads Uppsala University and the Swedish University of Agricultural Sciences to incorporate sustainable development in their activities. This also applies to CEMUS engagement in the regional center for education for sustainable development, RCE, helping to tie together our schools in the municipality of Uppsala and wider county with our two universities with the ambition to have all educational settings have sustainable development as a guiding principle. CEMUS will be even more important for the municipality of Uppsala, and Sweden in order for them to be able to contribute to achieving the global goals for sustainable development that the international community through the UN decided on less than a month ago. CEMUS has great challenges ahead. But I hope that this award can help to inspire further excellent work. CONGRATULATIONS!